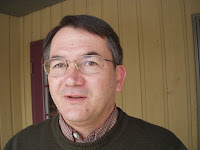 The following e-mail was received from Pastor Robert Smoker (pictured) of the Susquehanna Grace Brethren Church in Wrightsville, Pennsylvania. Friday our barn home burned to the ground. Praise the Lord my Mom had already moved to an assisted living home due to her health needs. However, all is lost – even our dog Zoe. That is the most painful part for Jean. For the time being we are staying in one of the cottages up on the hill. We have insurance and the Lord’s people have really come to our aid! Pastor Galen Wiley from the Lancaster (PA) Grace Brethren Church is distributing the following message: “Let’s all pray for Bob and Jean Smoker and encourage them any ways we can, as the house they were renting burned to the ground this past Friday afternoon. So they lost everything except what they had in their cars and on their backs. Fortunately, no one was hurt (though their dog was killed). By God’s grace, Bob’s mother was recently moved to a nursing home. They have already found a place to live that is furnished. But they have to process everything else now with the insurance company and with buying basic things of life. And of course, there will never be any way to replace all the personal memories that we all have a way of accumulating.